Gemini aka Thomas Slinger, the 22-year-old producer, singer songwriter returns on November 12 with the “Mercury EP” on his own label Inspected Records, which has pioneered the rise of underground artists such as KOAN Sound and Zeds Dead. Between amassing well over 20 million views across YouTube, completing a 33 date US and Canada tour and remixing the likes of Lana Del Rey, Emeli Sandéand Ed Sheeran, Gemini’s built up an incredible following over the last year. First came, Freedom, a heavy-hitting euphoric club anthem supported by the likes ofTiësto and Axwell, with over 100,000 views on UKF’s YouTube Channel in one week, introducing this EP with a bang. 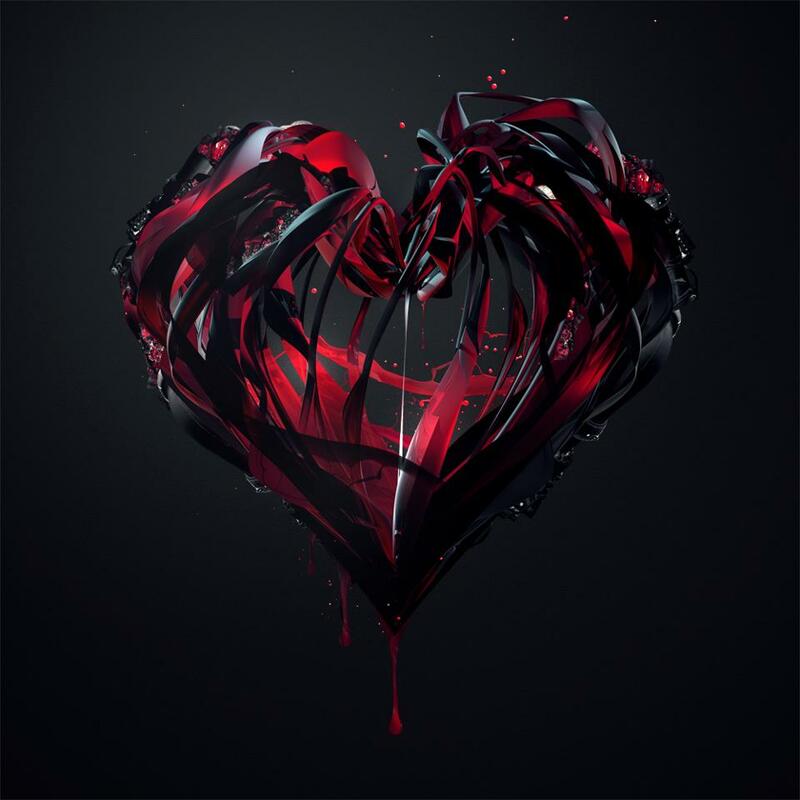 Next up is 3D Romeo, featuring vocals from the exceptional Fabienne that was premiered as Zane Lowe’s Hottest Record In The World on Radio 1. 3D Romeo is available to buy on Beatport now. Rounding out the EP are three brand new productions that showcase the full breadth and depth of Gemini’s talents in his multiple roles as producer, songwriter and singer. From the emotive dance floor drive of Robots to the deeper, more poignant posture of “Losing My Way” and the pulsing drums and soaring synths of EP closer Second Law, “Mercury EP” is simply massive. Mercury EP is available on Beatport from November 19 and then on iTunesbeginning December 2. 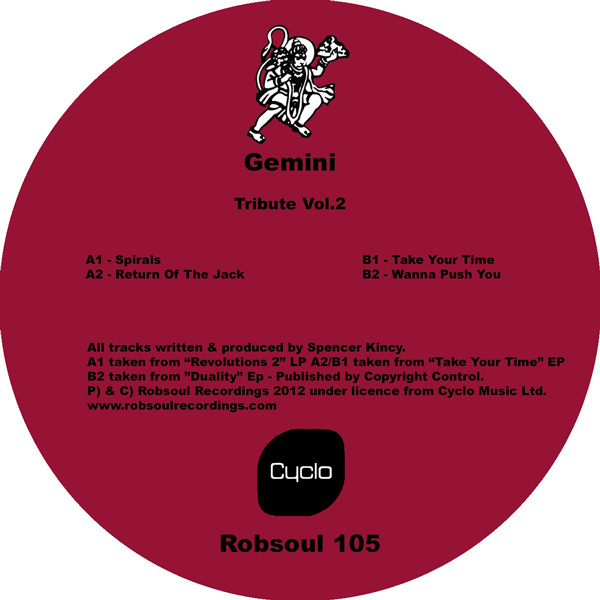 March 2011 saw Phil Weeks’ Robsoul Recordings revisit 4 of Gemini’s classic tracks, originally released on Cyclo Recordings in the 1990’s. The release, simply called ‘Tribute EP’, was all that needed to be said about the impact Spencer Kincy has had on Phil Weeks’ own brand of house music. January 2012 will see round two hit the shelves as four more Gemini tracks from the Cyclo vaults will be released as Tribute Vol 2. The release of the first Tribute EP in March helped take Gemini’s music to a new generation. Publications including DJ Mag, DeBug and 5 Mag all leant their support along with DJs including Soul Clap, Maya Jane Coles, Till Von Sein, Lee Burridge, D’Julz, Deetron, Danny Tenaglia, Catz N Dogz, Spencer Parker, Doc Martin, Charles Webster, the list goes on and on (…and on). 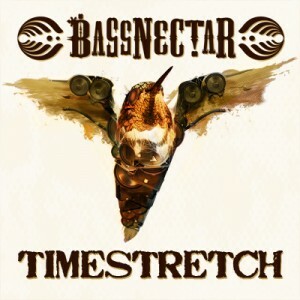 The Tribute EPs prove that, despite no longer being involved in the music scene, Spencer Kincy’s genius touch remains. 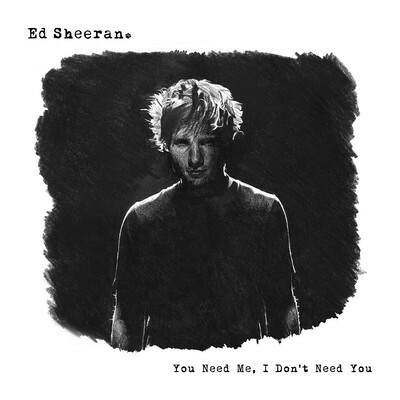 Ed Sheeran ‘You Need Me, I Don’t Need You’ will be released on iTunes on Sunday 28th August.